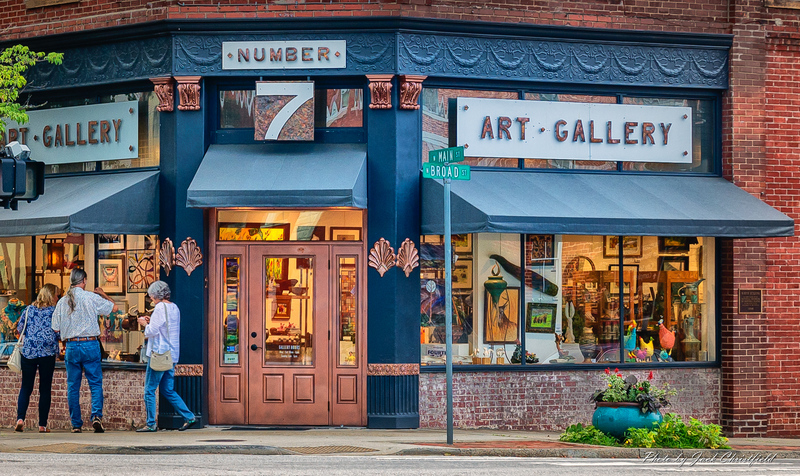 Visit Number 7 Arts Gallery in beautiful downtown Brevard, a favorite destination for locals and visitors. We are an artist-managed cooperative, established in 1999. More than thirty local artists exhibit their art and share in the daily operations of the gallery, so there are always participating artists available to answer your questions. Stop by and browse our selection of hand-crafted items including pottery, jewelry, woodwork, fiber arts, photography, stained glass, fabric and woven art, furniture, paper-maché, as well as oil, acrylic and watercolor painting. 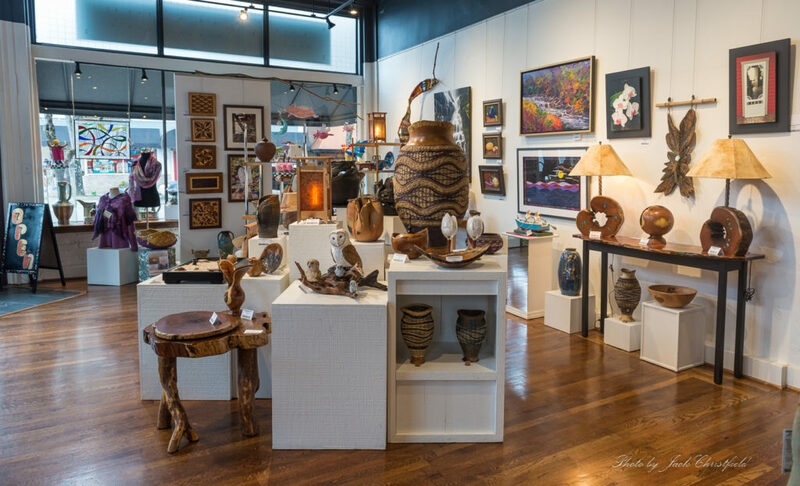 When you select a unique handmade art object as a reminder of your time in Western North Carolina, your purchase supports our local arts programs. Number 7 Arts Gallery was established by the Transylvania Community Arts Council to promote the arts in our area. We look forward to meeting you in our gallery. Number 7 Arts Gallery presents a variety of mediums and high-quality artwork by outstanding local artists. The Gallery is managed and maintained by its artist-members, who provide a knowledgeable, personal shopping experience for our customers. Each artist is encouraged to push the boundaries of their medium and learn all they can about the day-to-day operations of the organization, as well as new ways to promote their talents and those of their fellow members. Number 7 Arts is a cooperative in which all artists are members. From time-to-time, new member-artists are selected through a jury process conducted by current member-artists.